Do you ever see one of your favorite brands launching a new collection, see every blogger and influencer hyping it up, and just...not want anything to do with it? Not the slightest bit of temptation? That's what I experienced when Too Faced launched their Sweet Peach eyeshadow palette and later on, the Sweet Peach collection. Peachy shades look awful on me, I don't like the scent of peaches, and I didn't like the packaging of this collection. I still read the reviews and looked at swatches of the palette, but even though the colors weren't all peach-toned, I didn't want to purchase it in the slightest. I wish I experienced this more often with makeup, but unfortunately I'm a sucker for beautiful packaging and I end up splurging far more often than I should! At the moment I am (unsuccessfully) on a makeup ban so instead of searching for products I want to buy, I thought it would be interesting to do the exact opposite--makeup that I don't want anything to do with. I already explained why the Sweet Peach collection doesn't catch my interest, but there are plenty of other lusted-after products that aren't right up my street! Maybe I'm the only one, but I'm not a liquid lipstick fan and I am not a Kardashian/Jenner fan. Put the two together and it's a big nope from me. The colors Kylie has released have not really interested me, and the ones that did are easily dupe-able by much cheaper brands. Also, I know not everyone feels this way, but I don't like the fact that Kylie can wake up one morning and be like, "I should start a makeup company!" and then immediately be overflowing with sales just because her family is famous. I would rather support people and companies who have worked hard to get a name for themselves and their brand. While I love the Pro-Glow sister to this popular foundation, nothing about the Pro-Matte appeals to me. I have dry skin and I find even satin finishes too matte for my tastes! Obviously, this is more a matter of preference than the product or brand being bad. I like some subtle contouring, but I don't think that a big kit with 6 different color options would be very cost-effective for me. I'd rather buy one ashy contour color and use it every day than a big kit where most of the shades will go unused. If I do ever want a full kit, I'd probably go for something from the drugstore like Elf's contour kit! This is a product that originally caught my attention, but after reading a few reviews I knew it wouldn't be for me. These baked highlighters seem to be mostly glitter and only one color looks like a good highlight shade for fair skin. This seems to be a popular opinion considering I've seen this pop up in multiple "worst of 2016" posts. I'm sure you've all heard the allegations against Jeffree Star, mainly that he is a racist and a bully. Generally I like to stay away from people like that, so most of my avoidance of his brand is because of his controversial behavior. He also hasn't released anything that interests me. I've heard some of his products, like his highlighters and liquid lipsticks, are good but I have plenty of highlighters and I'm not a fan of liquid lipsticks. For now, there's not even a little bit of temptation to try his products and I think it's likely to stay that way unless he starts changing his act. I know the people who have this palette are absolutely obsessed with it, but something about it puts me off. I love Anastasia's eyeshadow formula and the packaging of this palette is stunning, but the strong berry and warm-toned shades are not for me. I've tried cranberry colors before and basically looked like I had pink eye. I would use maybe half the shades in this palette, which is not enough to justify purchasing it. Perhaps if it went on sale...? Both L'Oreal and Lancome have popular cushion foundations out, along with the many Korean beauty brands that started the cushion trend, but I can't see myself ever buying into this trend. Even the drugstore cushion foundations are more than $10 and you really don't get a lot of product for the price. Combine that with a light coverage? Definitely not for me. If you have any of these products, you are welcome to try and change my mind! Are there any popular products that you don't want to try? 17 comments on "An Anti-haul: Products I Wouldn't Purchase"
I love this idea Katie! Never got the hype with the peach palette or modern Renaissance- way too warm toned for me! I do love the KVD contour palette though but tend to only use a few shades like you say haha! I totally get you. although we don't have everything to buy here so I'm also less tempted, I have no feelings for many of the "blogger's must have" stuff. I got one for my friend and she really likes it! I've only seen the medium and deep contours at my TJ Maxx so they didn't really suit me. I like this concept of an Anti-haul. I had no idea there was such controversy around Jefree star. In general makeup from Kylie cosmetics doesn't appeal to me, neither does that sweet peach palette by too face. I have my Sweet Peach palette probably 7-8 months and I love it, but I totally understand that this is not everyone's a cup of tea. On the other hand before I went to USA, Modern Renaissance was on my wishlist, when I saw the palette in person, I wasn't impressed so I walked away without buying it. I feel the same way about sooo many of these products. I have nothing against people who choose to buy Jeffree Star products, as they may not know of his terrible personality but I don't think I will ever purchase anything of his either. I also don't get the hype around the Peach collection! I swatched everything in stores and it seemed so... lackluster to me. Kylie Cosmetics and contour kits are also huge nopes for me! I at first didn't want the Sweet Peach palette until I saw it in person and smelled it. It smelled like the peach gummy candies I love! I bought it for my best friend for Christmas and myself. I would NEVER buy anything from Lime Crime because of pretty much the same reasons you wouldn't buy Jeffree Star: the CEO is racist, lying, stole people's money, makeup formulas, etc. I forgot to add it but from what I've heard about Lime Crime I wouldn't buy their products as well! I felt the same about the Peaches palette, although I absolutely adored the ABH Modern Renaissance palette. One thing is for sure, if I see something getting super hyped by influencers I will hold off to see what bloggers and actual customers think before taking the plunge. I don't think I would buy anything from Jeffrey Star either! Girl, I feel the same about cushion foundies! I want to try them out but nothing struck my fancy, especially since I'm all about that medium-full coverage. Also, I do not like Kylie, but I bought a lip kit just for the heck of trying it. I couldn't agree more with you on these especially on Jeffree Star. I will never ever purchase his products because his personality is just vile. There are so many products and brands out there, I don't see a reason why I should buy his products especially when I know what kind of person he is. And anyone who says they are anti-bullies but still support him is just a hypocrite. The same goes for me towards anything Kardashian, I personally am not a fan of them so I just don't support them. 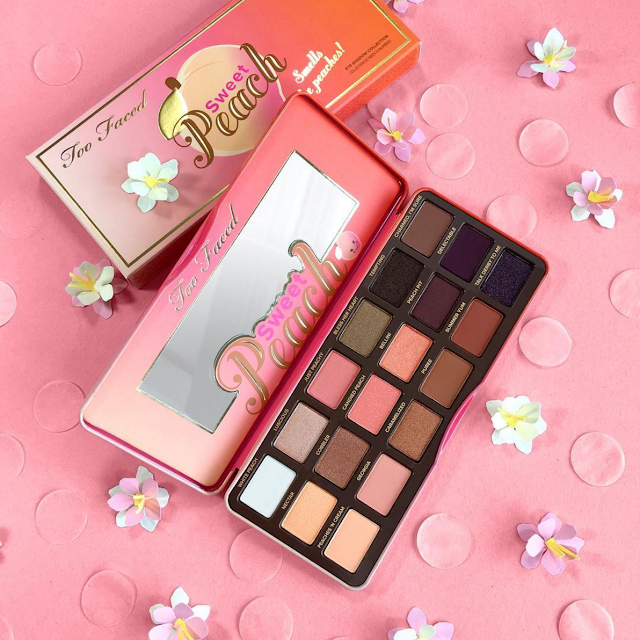 And about Too Faced Sweet Peach collection, it didn't interest me at all and to be honest, I am seriously not interested in Too Faced altogether. I feel the brand is churning out way too many collections.